Hail, one and all. I must appoligized for being MIA the past 4 weeks, but our move from pergatory(Kansas) to God's own sweet country(Texas) has been fraught with many perils and side-roads. This means that we have been - and are still - living out of hotels, and my time to peruse the forums has been very limited. Powers-that-be willing, I will know for sure by the first of next week if we are landing in Houston or D/FW, although Houston is looking the more promising at the moment. Gawd, I hate dealing with upper management making up their minds on hiring!! "Hurry up and wait" seems to be the catch-word of the day. I trust Frere Cliff is fairing well in Outremer. Our thoughts are always with the folks in that land. Frere Mikael - best of luck on the new computer. I await the invite for the 'doins' at TRF. To Sir William, the fair Ladies, and all the rest of the fun and gracious folks - adieu and all the best, until we meet again. And allow me to jump in real quick and check in! Having faire withdrawals right now, and assessing what I can upgrade before TRF. I have a lock on my new computer, just juggling some finances before I make the leap, so I'll still be MIA off and on for just a little bit more. 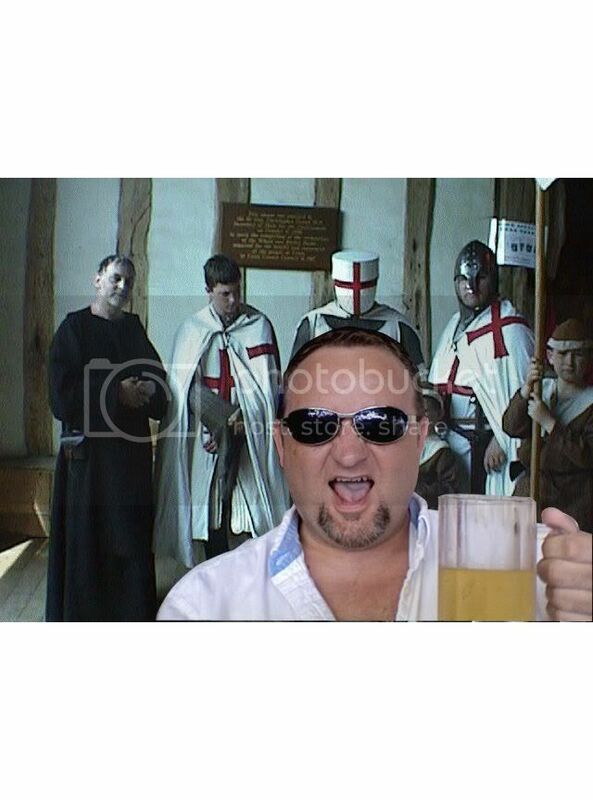 Brother Hospitaller, when I landed my current job, I interviewed in March, and started work in November of that same year. So I feel your pain in regards to upper management not being able to make a decision! We just need to decide on a date for TRF. I was gonna let those who had a longer travel throw out their preferences, though I think my wife is wanting to hit the last weekend, which is a three day weekend for the faire. Hey, wait a minute!..I think I know those guys in the background! If the king of Scarborough would to get that oversized codpiece so much as a foot from me its getting chopped off and killed. Thou cans't try, sirrah, if thou darest! The Queen's plaything is NOT meant for thee, nor for any who are faint of heart or frail of spirit or weak of constitution. BTW: My codpiece is tame by comparison to the real ones of the period! Your Majesty, I beg pardon for my brother as, being a member of a chaste order such as ours, and having spent most of his time in Outremer, Good Brother William is unaccustomed to the sight of His Majesty's...er...majesty! Thou wouldst be most welcome should Your Majesty ever wish to join us on Crusade. I just knew that would flush his majesty out! Very good M'Lord! Rofl sometimes i wonder about yall. Not sure if everyone knows. 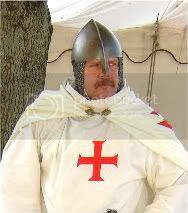 I have been informed that frere Cliff will be departing from the Outremer and returning to the states after this week.....Deus Vult!! Looks like his work is done! 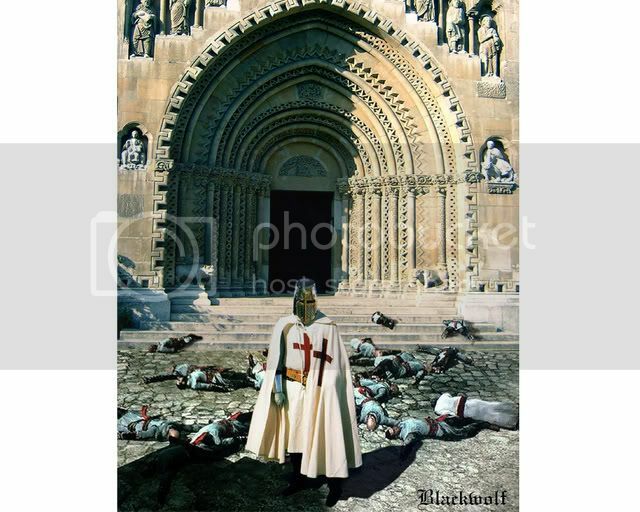 My messengers tell me that Templar has arrived safely back in his homelands. Proper feastings and celebrations are in order. Could we possibly set aside the austere Latin Rules to welcome Frere Cliff home?